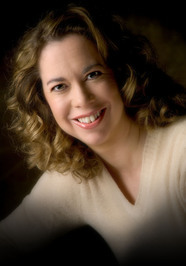 Maria V Snyder is an American fantasy author, her first book was published in October 2005. Maria originally wanted to be a meteorologist she even earned her bachelor of science degree in meteorology. Maria worked as an environmental meteorologist until boredom took over and she had her children. Maria enjoyed writing much more than she did meteorology and soon went back to college to earn her masters of Arts degree in fictional writing. Maria's love for writing hasn't stopped with her books, she is now a teacher and mentor with Seton Hill's MFA's programme.